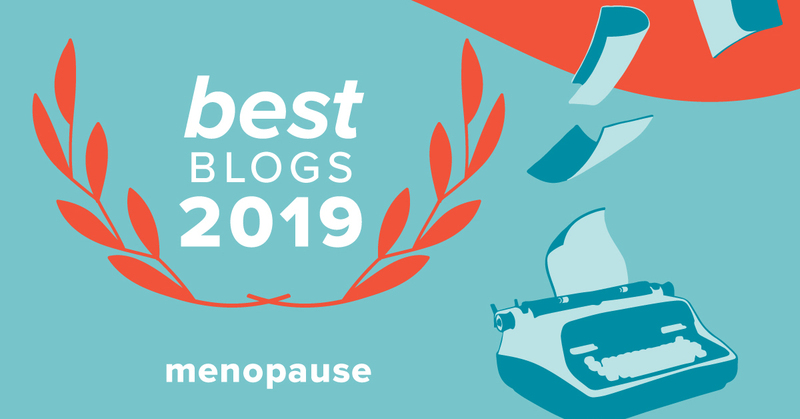 A guest post by health writer and menopause advocate Lori Ann King. Take it away, Lori, and thank you! I believe perspective plays a huge role in how we enter menopause, regardless of whether it is natural or surgically induced, as well as in how quickly we heal. What is your perspective on menopause? Is it a time of distress and discomfort? A signal of aging? Do you fear the best years are behind you? Are you focused completely on your symptoms? Or do you see this transition as a rite of passage and a time to discover or rediscover your power, purpose, passion, and authenticity? Book Giveaway: Win a copy of Lori’s excellent and very readable book, Come Back Strong: Balanced Wellness after Surgical Menopause. For a chance to win, please enter a comment by September 20. Thanks! Lori Ann King is a writer, speaker, certified sports nutritionist, and wellness coach with over eight years of experience in health and wellness with Isagenix. Lori currently resides in the Hudson Valley of New York with her husband, Jim, a certified personal trainer & sports nutritionist and wellness/business coach. A post by Avaeh Kirstopher, creator of a coloring book about one of our very favorite topics: Menopause! Take it away Avaeh, and thank you! I am Avaeh Kristopher, a woman in my 50s who has loved animals and creating art all my life. I finally decided to create a book about menopause since it’s something I went through a few years ago. Why? To maybe help people laugh a little bit about it and feel better about themselves through the art of coloring. I chose bright colors for the cover because typically when people think about menopause, they don’t tend to think bright colors and fun things. They tend to think just the opposite, so I hope this coloring book will change that perception just a bit. And I hope the sayings and the drawings and all the art inside help make your readers laugh a little bit and maybe even change their mindset some about menopause because, hey, we’re all going to go through it whether we want to or not – may as well have a good time doing it, right? Giveaway: Avaeh is giving a copy of her coloring book to one lucky Friend for the Ride reader. For a chance to win, please enter a comment by November 25. Thanks! Amazon Link: Here’s how you can buy a copy for yourself and copies for friends. What a great girlfriend birthday present or hostess gift. Avaeh tells us more about herself: I’ve led many lives while here on this planet – child, friend, partner, parent – but I’ve always been an artist too. As long as I can remember, I’ve always loved to draw, craft and sketch, have always had pets and love being in the great outdoors. My friends call me a hippie and that’s okay with me – I take it as a great compliment. I am definitely not the conventional or corporate type – I am much more of a free spirit who enjoys a good joke, colorful language and insightful conversations over high heels and the newest trends in fashion. Give me a tee shirt, jeans and some comfortable shoes any day over all of that and I’ll be as happy as can be. Now I guess I can add author to my list too. I hope you enjoy my new coloring book – hopefully the first of many to come. Date of my most recent period? Nothing like filling out the form at your gynecologist’s office to make you realize your period days really are over. When you’re in the midst of periods, you think it’s going to be fabulous to be done. But to my surprise, I found some bittersweet elements to being finished with periods. And I’m delighted that Period! Magazine published my reflections. Read my article, “Goodbye Period! Five Reasons I’m Happy and Five Reasons I’m sad” right here. Here’s the Dutch version. Very exciting to have my words translated. What about you? If you’re finished, do you miss your period at all? If not, can you even imagine missing your period? And from our friends at Slumber Cloud, some herbal ideas and tea recipes for those in perimenopause and those in menopause. As women enter their 40s and 50s, it’s inevitable: perimenopause and menopause will begin. And, so will the hot flashes—one of the most common, symptoms of menopause. Take a Supplement based on Nature – Supplements containing soy isoflavones rich in genistein, naturally-occurring compounds with a chemical structure similar to estrogen, have been scientifically proven to reduce the frequency and severity of menopausal hot flashes by approximately 20 to 30 percent. To make sure the supplement contains the right amount of soy isoflavones, just look for the green NovaSoy® brand leaf on the labels of over-the-counter supplements widely found in drug, grocery and health & nutrition stores. Focus on Nutrition – The right kind of diet is full of fruits, vegetables and plant-based proteins such as beans, lentils, legumes and soy. For some women, certain foods trigger hot flashes. Common triggers include coffee, spicy foods or alcohol. Additionally, avoiding caffeine or alcohol within three hours of bedtime may decrease the likelihood of night sweats interrupting sleep. Exercise Regularly – Exercise has been shown to reduce hot flashes as well as a host of other menopause-related issues women face, including sleep disturbances. However, to reap the full benefits, it’s important to incorporate a variety of techniques including aerobic, weight-bearing, strength training and relaxation exercises like yoga. Deflate Stress with Therapy – It’s been proven that lowering stress levels helps decrease menopausal hot flashes. There are many ways to alleviate stress, such as deep breathing, meditation and yoga exercises. Some women are turning to more creative therapies such as hypnotherapy, herbal therapy and aromatherapy. It’s important to remember, though, that you should still consult your health care provider if you are using nature’s remedies. Discuss your symptoms, treatment plan and how it may impact your overall health. Interested in discussing hot flash relief and your menopause journey with other women going through the same experience? Join the NovaSoy Facebook community! Discussion topics include exercise inspirations, healthy recipes, and menopause blogs, videos and cartoons. There’s also an interactive symptom checker to let you know if you’re experiencing menopause. And if that’s not enough, you have until September 30 to enter to win a three-month supply of a product containing NovaSoy that you’d like to try. Just click here: GIVEAWAY! Menopause expert Ellen Dolgen kindly let me share her article on becoming your own medical advocate. I’ve learned that many doctors fail women when it comes to menopause education, especially by not warning us of what to expect as perimenopause and menopause set in. Knowledge is indeed power. Take it away, Ellen. Thanks for sharing this post and for all you do for women everywhere! You can’t leave your perimenopause and menopause symptoms on the kitchen counter when you leave the house. You can’t pretend to be “fine” when you are dripping wet from a hot flash, sleepless and irritable. Your family, co- workers, loved ones, and friends know when you are not feeling well. Trust How You Feel! – You know when you don’t feel well. If you go to a healthcare provider to get menopause advice and help and your provider tells you, “You’re too young to be in menopause”, don’t sit there and accept it! Do not go home and suffer in silence. Educate yourself on perimenopause, menopause, and post-menopause. Be in charge of your fertility and family planning. Find a Menopause Specialist! This may not be the doctor who delivered your babies. This is a medical professional that has been specifically trained to help menopausal women. Get the proper hormone testing to measure your levels such as DHEAS, Estradiol, Free and Total Testosterone, FSH, Progesterone, Thyroid Panel, just to name a few. Chart your symptoms. I have worked with doctors to develop a helpful chart that will help you to quickly and accurately explain how you feel to your doctor. You can download it here. Understand your options – both hormonal and non-hormonal. For more detailed support, download Ellen’s FREE eBook, MENOPAUSE MONDAYS The Girlfriend’s Guide to Surviving and Thriving During Perimenopause and Menopause. This is a comprehensive guide to all things menopause—tips on how to find a menopause specialist, the tests, the symptoms, treatments, and long-range effects on a woman’s health. Ellen’s motto is: Suffering silence is OUT! Reaching out is IN! Follow Ellen Dolgen on Twitter. Like her menopause guide, Shmirshky, on Facebook. Get the latest menopause news delivered to your inbox every week when you sign up at www.ellendolgen.com for Ellen’s free Menopause Mondays Newsletter! Thank you, again, Ellen. Enjoy that adorable granddaughter! Here’s an article that I wrote for Empowher on educating yourself about menopause. I am bonkers over this topic. It’s so darn important! A few months ago, EmpowerHer, a woman’s health site, invited me to write articles about hot flashes. I had fun figuring out how to give each article a creative slant, and I enjoyed the research. Citing sources brought me back to my university days! Read the rest of their responses here, a bit of my own experience, and the research I uncovered on the topic. Read a story here from my very own bedroom and then my research on hot flashes and night sweats. I got brave and talked about the Modess Starter Kit my mom ordered for me. I used this as a segue into menopause, which comes on a lot slower than the shock of that first period. This article was a bit harder to put together research-wise than the first two. Read it here! P.S. I dug deep through mighty Google, and I don’t think I had a Modess Starter Kit after all. I think the pamphlet I read was called “Very Personally Yours.” Here’s the cover! Sound or look familiar to any of you? On the afternoon of my debut as a bartender at Hot Tin Roof, I met a member of The Bottom Line Burlesque & Comedy Troupe, who was having her nails done next to me. Turns out she was dancing at the same charity event. Sadly, I missed her performance that night because I couldn’t leave my place at the bar. From the laughs and applause, it sounds like everyone had a roaring good time. Here is some information provided by Ruby Martini about the creative, energetic, and giving ladies of the Bottom Line Burlesque Dance & Comedy Troupe. The Bottom Line Burlesque & Comedy Troupe is a Hillsborough-based, all volunteer Community Performance Troupe that was founded in 2012 by Hillsborough resident, Ruby Martini. The Mission of this talented, sassy, fun group of men and women is to align with Non-profit organizations and assist them with their fund-raising events. The primary alignment for Bottom Line Burlesque & Comedy Troupe is The UNC Center of Excellence for Eating Disorders, (https://www.med.unc.edu/psych/eatingdisorders) for whom the Troupe holds an annual fund-raiser. 2016 brings a Habitat for Humanity fund-raiser on board, our annual UNC CEED show, as well as two shows at Common Ground Theatre to support Marketing Missions for the Troupe. More dates will continue to be added. This Troupe of performers welcomes and embraces diversity – not only within the Troupe, but in the causes they support and their enthusiastic audiences. Most of the Troupe members fall into one of two categories; those who performed at “younger” ages and now miss the stage, or those who always wanted to perform but were perhaps too bashful or never had an opportunity. The Bottom Line Burlesque welcomes anyone who is interested in performing, singing, dancing, providing make up or back stage support. If you are interested in learning more, get in touch with Ruby Martini. She will invite you to come to a rehearsal so you can feel the energy, the synergy that makes this Troupe so successful! The Troupe is always open to helping Non-profits with their fund-raising efforts, as well as community groups with theirs. You can find more information, including performance dates and photo shoots on Facebook at this link. If you or anyone you know is involved with a non-profit that would like fundraising assistance from this fun, sassy Troupe, please contact Ruby Martini at Thebottomline@bellsouth.net.